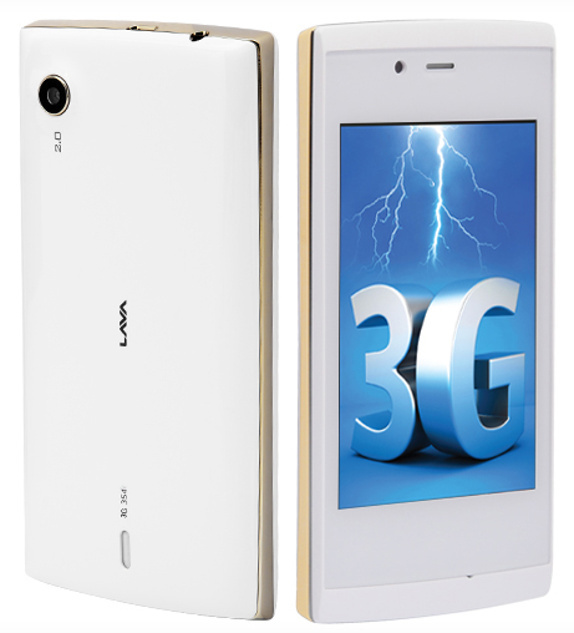 Lava 3G 354 has been spotted on official website in White with gold color. The Lava 354 3g comes with entry level specifications. It has 3.5 inch display , having 320 x 480 pixels display. It runs on Android 4.2 Jelly bean OS and supports Dual SIM. It has 2-megapixel primary camera and a VGA secondary camera. The Lava 3G 354 has limited 256MB of RAM and 2GB of Internal Memory. You can expand the storage up to 32 Gigs. It is 11.8mm thick and weighs 103.8 grams. It gains the strength from 1GHz dual core CPU. It houses 1400 mAh battery, seems to less for 3.5inch display. It comes in White with Gold color.